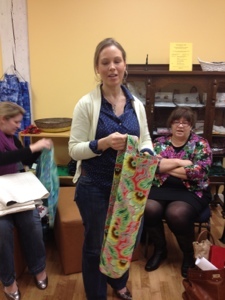 Welcome to all the new folks who came this month. 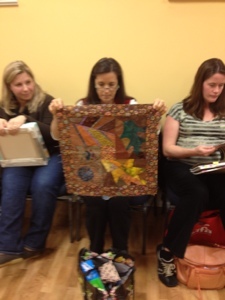 By my (unofficial) count there were 7 new people at the meeting! It looks like the ad in the Hometown section of the paper was a success. 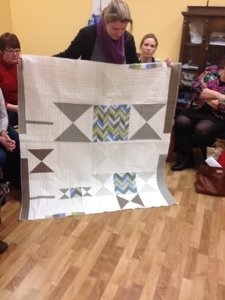 *IQF show: modern take on the traditional Ohio Star pattern is a go! 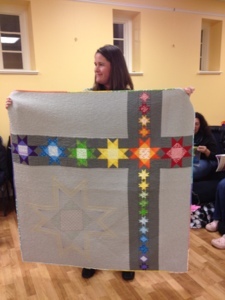 Thanks to everyone who made a quilt. 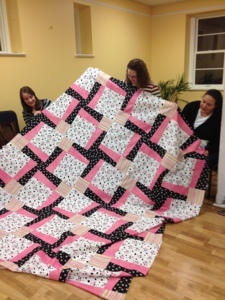 Participants must complete a loan agreement form & return to Heather via email by Jan. 19. 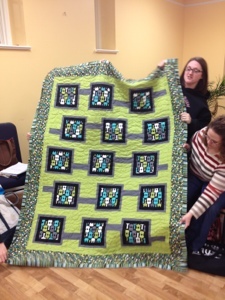 Discussion of value of quilt needed in loan agreement form – don’t forget to include your labor in the estimate (maybe look on Esty for comparable prices). Registration is open from January 6- March 2, 2012. 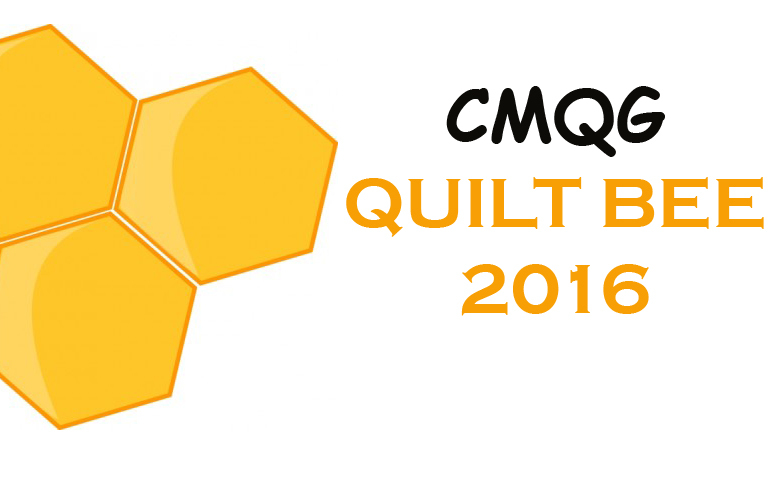 Quilts will be on display in Houston at the quilt festival. General election, per the bylaws. You must be at the meeting and a paying member to vote. Members can only run for one position. You may be running against someone, or you may not. Candidates will be asked to prepare a brief statement describing their goals and vision for the position for which they are running. Voting will be done anonymously and Sue has offered to tally the votes. 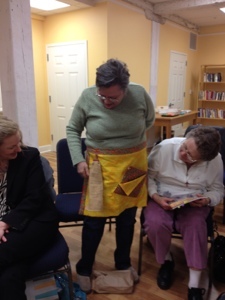 Lynn brought up the idea of having a nominating committee. The committee would select the candidates, as opposed to a General Election. 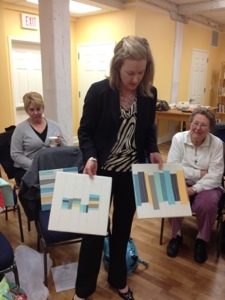 She moves to change the bylaws going forward to have this sort of committee. 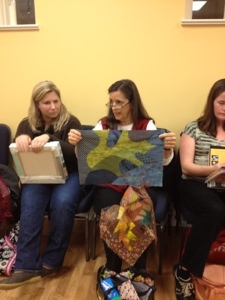 This would be the VP’s responsibility to make these changes and bring it to the group. *Guild Dues are due at the February meeting for the 2012 year. $25, cash only. Members will get an updated directory following dues collection. If you address has changed, please email the Guild. 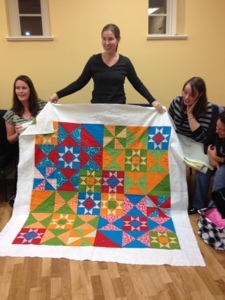 *Free Motion Class on Jan. 28 at Lavender Street Quilt Shop in Montgomery. 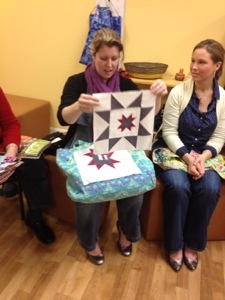 Taught by Beth Schillig, $45 (10-4 and it includes lunch, spots are limited). *Heather's Fox 19 spot—good PR for the guild, hopefully will bring in new members and increase our presence in the community. Nice job! 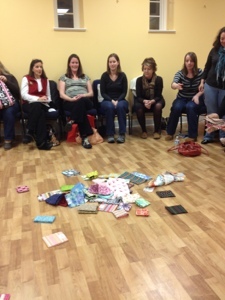 *Cincinnati’s IQF class schedule is up so check it out. 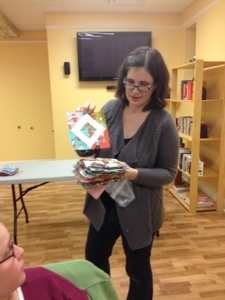 *Next meeting is February 8: Swap is Valentine’s Day or Love themed small projects. No sign-ups needed. 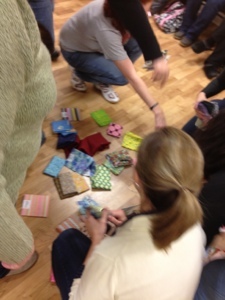 Members waiting patiently for the fat quarter swap!! 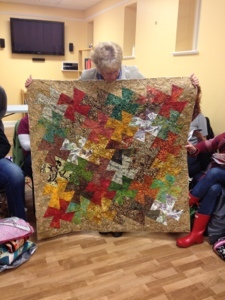 Sue shared some gorgeous quilted artwork that she made for her office. 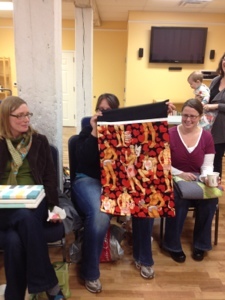 Kelly brought a fun, Valentine's Day inspired pillowcase. 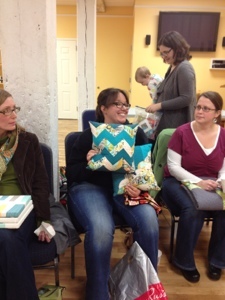 And she also brought two pillows that she made with Jay McCarroll's Habitat fabric. 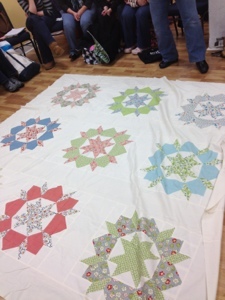 And Kelly also shared her gorgeous Ohio Star quilt. 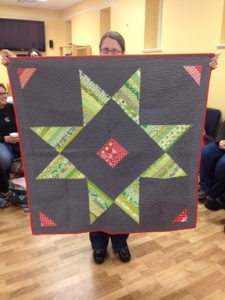 Amy's scrappy Ohio Star quilt is gorgeous too! 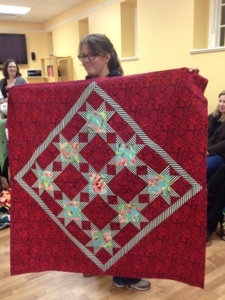 Gillian showed some of her latest Farmer's Wife blocks. Amazing! 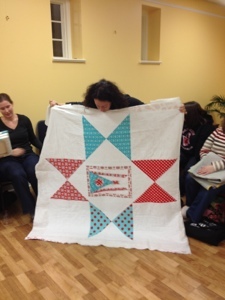 Lynn's beautiful Ohio Star quilt--love the paper pieced Ohio flag in the center! 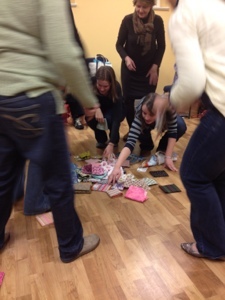 Thanks for taking the pictures Heather! Thanks for the news and all the great pics! So sorry I couldn't make it. 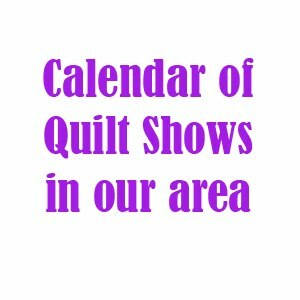 Looking forward to seeing everyone in February! awww... I miss you guys!